Everyone has seen the beautiful Ruby Atelier helmets. 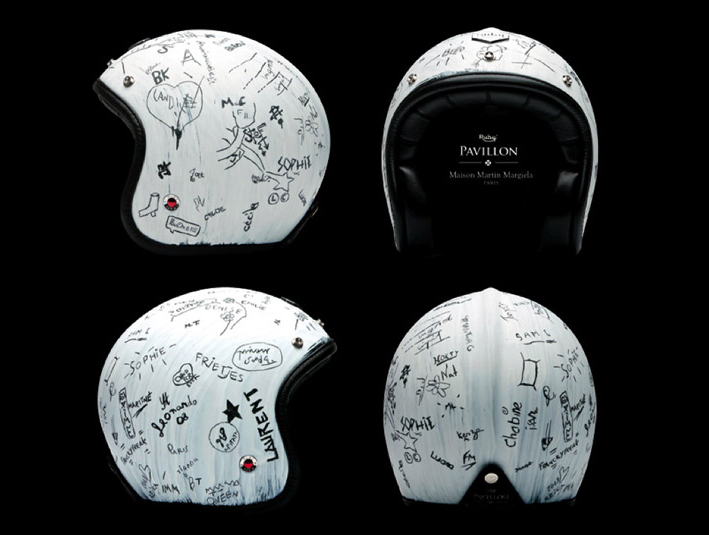 Recently Ruby got together with high fashion designer Martin Margiela to create an exclusively limited signature helmet. The white surface is covered with signatures of every member of Margiela’s design team. This so called designer has ripped off my design. I first created this design when I was at school and I broke my arm by falling off my bmx. All my mates signed my white cast and some even drew dirty pictures (and they could draw better than Margiela’s staff). See you in court Mr Margiela!